Ah, the week of corporate-mandated love. Today is the day that really matters: half-priced candy day, the magical day where you can buy twice the candy for the same price as February 14th. It’s also the day that we can look at the not-so-great side of love again. 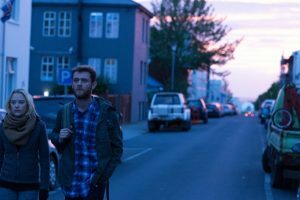 Which brings me to 2017’s Bokeh, about a couple that wakes up while on vacation in Iceland to find that everyone else in the world has disappeared. I’ll be frank, not everyone is going to like this one, but here are five reasons to at least give it a shot this weekend. A harsh fact about the film industry: lots of films get made based on the same formula of “boy chases girl, boy performs stunts proving himself, boy wins girl, swell of music, end credits.” The problem here is that studios calculate how something is performed, so often, more original ideas are shifted to the side and the funding is held hostage. Not with Kickstarter though, which is where we’re able to get a story that’s not cookie cutter. Folks, this is where we’re going to get our innovative ideas in the future. It’s already starting now, and it’s interesting to see where it’s going. Per the plot, a couple – Jenai (Maika Monroe) and Riley (Matt O’Leary) – wake up one morning to find that they’re the last two people on earth. For an hour and a half, this film is carried entirely by Jenai and Riley. That’s it. That’s a lot to throw onto two actors, yet Monroe and O’Leary keep it going. Their performances play off of one another, with O’Leary’s being a bit stronger. We get the experience of the reality of two people having no one but each other. If that sounds overwhelming, well, the concept is heady. It’s a good character study. This is a tall order, and they’re up to it. When I first watched this movie, I took one look at Monroe and O’Leary and went, “Where the hell have I seen them before?” A quick Google search filled me in. Monroe was the lead in It Follows. As for O’Leary, he was in Stung, Time Lapse and Frailty. They’re just recognizable enough to where they’re familiar, but still able to move in and out of roles without excess baggage. Meaning, we see the actor rather than the off-screen persona. You’re not rolling your eyes and declaring one of the leads to be a hot mess, which is a nice feeling. 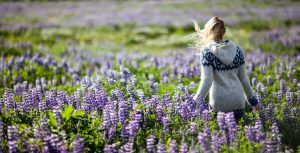 Can we just take a second to stop and bask in the fact that Iceland is gorgeous? They have beaches and woods and churches and springs. The landscape also includes cities, which have a fun design that’s just slightly alien to little ol’ American me. I love the shapes of the windows and the layouts of the apartments. I love the roadways. I love the way everything looks so green and blue and brown. It’s breathtaking. Bokeh is the Japanese word for the impact a blurred portion of the photograph has on the subject. It’s the contrast provided, the way the rest of the world fades away from the thing upon which you’re focused. The theme here of being part of a couple, then literally becoming one another’s world, is apt in a world of easy obsession and distraction alike. Watch this one and think about how you’d deal with the complete upheaval of your world, and who you’d want there. It’s definitely one for meditation. 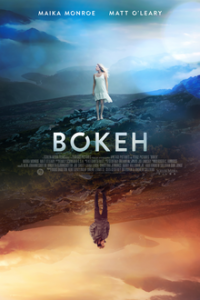 Bokeh is available on Netflix.